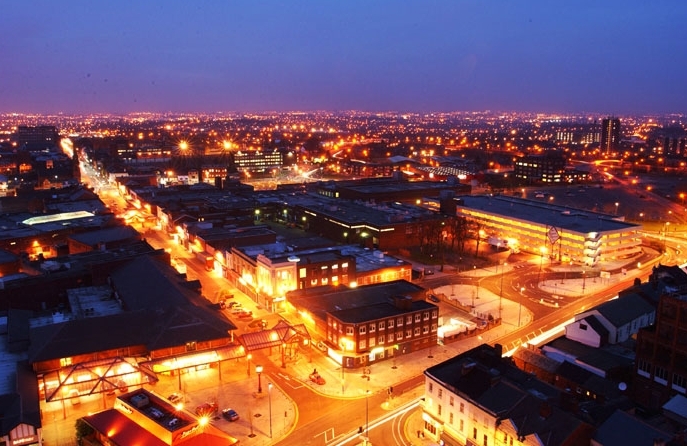 Weaknesses in the structure of the West Midlands economy mean that it was hit particularly hard by the recent recession and is likely to see further job losses over the next five years. Our latest briefing paper (pdf, 408kb), produced as part of our West Midlands Skills Assessment 2010, reveals that the West Midlands has a weaker private sector than other parts of the country. The West Midlands has poorer representation of higher value added activities and high growth firms with the potential to create new, skilled jobs. As a result the West Midlands has seen its share of jobs in the public sector rise more rapidly than anywhere else in the country. It is particularly vulnerable to job losses from the spending cuts announced by the government. We forecast that West Midlands Gross Value Added (GVA) will grow by only 8% (£8.8 billion) between 2010 and 2015 and there will be a net fall in employment of more than 38,000 people. Can we use a mix of indicators to show which of our communities are sustainable? That’s the question the Observatory is aiming to answer as we continue our State of the Region dialogue on sustainable communities. We published What makes a community sustainable? (pdf, 457kb) in October 2009. This report built on a workshop held in April 2009. In the report we took the starting point that a successful West Midlands must be made up of communities where people want to live and work, now and in the future. The work then tried to understand the factors which make communities sustainable in this way. The next stage of the work is to look at how we can identify which of our current communities are sustainable and which need action to help them to change. While there are tentative signs of an upturn in the labour market, with more firms looking to recruit new staff and invest in training, the economic recovery is expected to be weak and protracted. 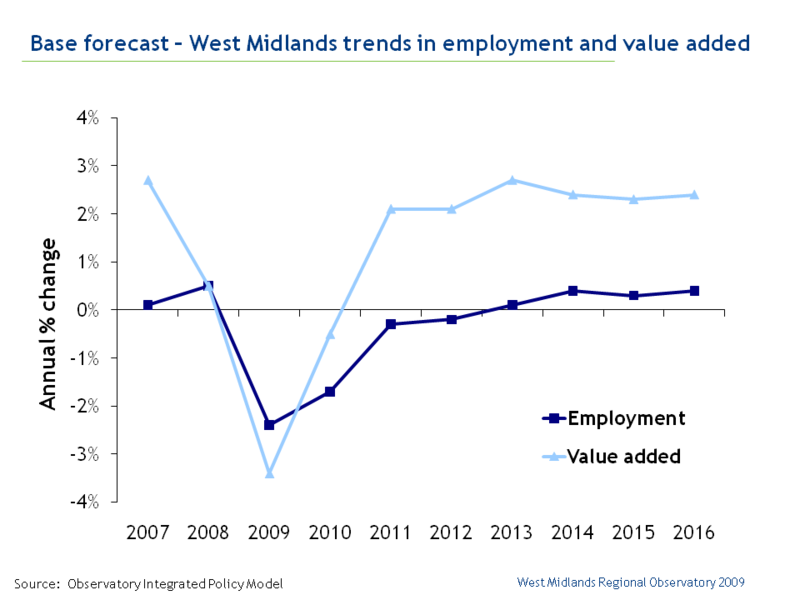 Chart: Base forecast: West Midlands trends in employment and value added. Source: Observatory Integrated Policy Model. View full size chart (png, 18kb). Birmingham, Coventry and Wolverhampton are the three cities from the West Midlands included in the Sustainable Cities Index (pdf, 4.3mb) published recently by Forum for the Future. This is the third year that the index has been published, which tracks sustainability progress achieved in Britain’s 20 largest cities. The index is designed to give a snapshot of sustainability in each city, aiming to encourage healthy competition, stimulating discussion and suggesting new ways of thinking about cities. This post provides a short analysis of findings for the West Midlands cities and also highlights the similarities that this work has with our State of the Region dialogue on sustainable communities.